Pair of Manuscript Documents Signed being land agreements, each 1pp. 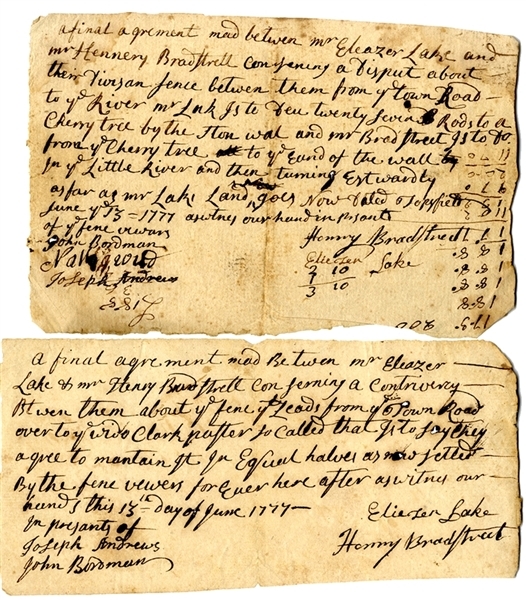 oblong octavo, June 13, 1777, and signed by Joseph Andrews and John Bordman, Henry Bradstreet, Eliezer Lake of Topfield, Massachusetts. Very good condition.